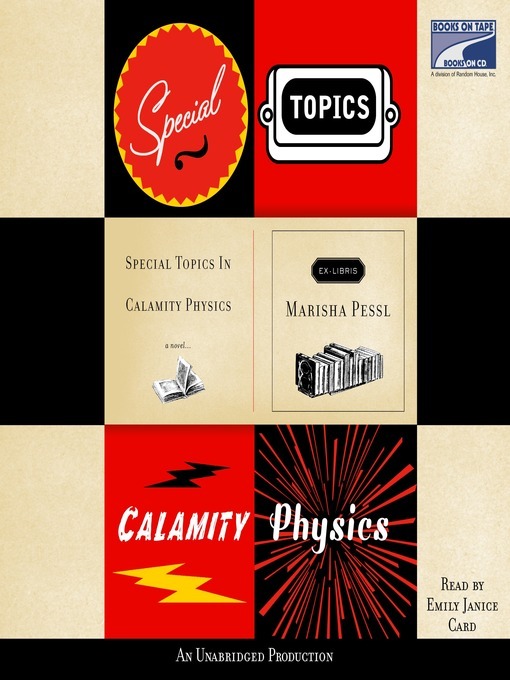 Calamity Physics: The resulting explosion of energy, light, heartbreak, and wonder as Blue van Meer enters a small, elite school in a sleepy mountain town. Blue's highly unusual past draws her to a charismatic group of friends at St. Gallway and their captivating teacher, Hannah Schneider. A sudden drowning, a series of inexplicable events, and finally the shocking death of Hannah herself lead to a confluence of mysteries. And Blue is left to make sense of it all with only her gimlet-eyed instincts and cultural lexicon to guide her.